During the cold weather, expansive clay soil expands pushing the foundation in an upward direction. This is what is referred to as foundation upheaval. You may begin to notice your walls and floors starting to crack and bow. Left unattended, foundation upheaval can render your home uninhabitable. At this point, the foundation may need a total replacement. This can cost you a fortune. So obviously you wouldn’t want to get to that point. The key to protecting your home’s foundation is by ensuring the soil surrounding your foundation has a uniform moisture content. This ensures that it doesn’t contract or swell, and thus won’t break or bend the foundation. Just because it’s not 90 degrees outside doesn’t mean your property is protected. 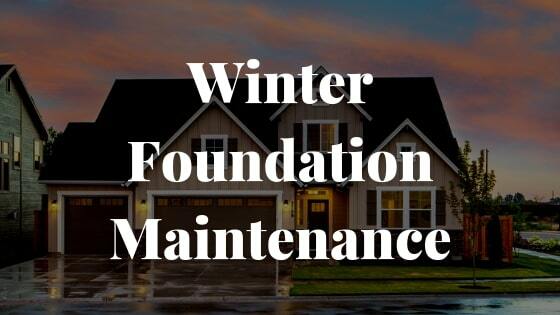 Cold, dry weather can cause just as many foundation problems as hot, dry weather. Consistent soil moisture content prevents soil shifting or movement. The following are 6 watering tips to help avoid foundation problems. Maintain a consistent soil moisture content. Avoid watering until the soil becomes squishy. Ensure the yard slopes away from the foundation not towards it. 90% of all foundation damage results from water damage. An improperly graded yard can cause water to pool near your foundation, eventually causing damage. Ensure there are no low areas that can collect water near the home. Check that the drip line is routed away from the foundation. Ensure your gutters are clean and that they are properly directing water away from the house. 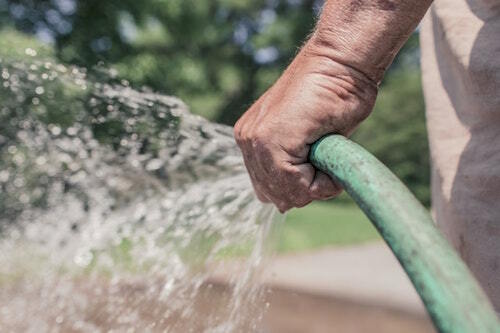 Check to see whether your neighbor is watering properly. If they are over-watering, kindly tell them to stop. Water the foundation about 75 percent less regularly than during the hot season. However, bear in mind that winter droughts can cause as much foundation damage as those during the dry season. Don’t water directly next to your foundation. This can cause moisture accumulation. What you want to water is the area within 10’ of your home. Use a drip hose or an in-ground sprinkler system about eighteen inches from your home’s foundation. 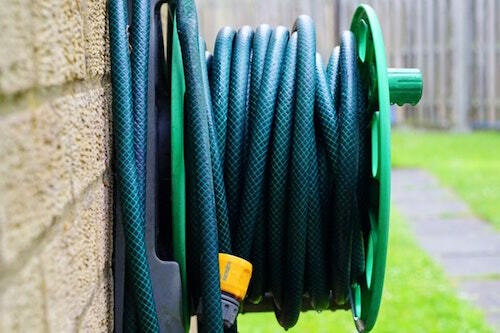 Hoses are cheaper than in-ground sprinkler systems and will work just as good. However, they require more effort on your part. If you choose drip hoses, remember to avoid doing any of the following things. Soaker hoses. These can cause the watering to become uneven. Never over water. If the ground is mushy or the water is pooling, turn off the water. Never place the drip hose in contact with the foundation. This usually results in the water running down the concrete beam’s side and pooling. When this occurs, the soil may lose its ability to offer firm support to the foundation. Over-watering your foundation and soil is just as bad as not watering at all. The key is to ensure the soil is moist, not muddy or dry. If you live in an area where houses are 20 feet apart, you have to take into your account how much your neighbor waters. If you suspect they are over-watering their foundation, ask them to stop or consider installing a surface drain or French drain system. Each side of the house may also need a different amount of water. In summer, for example, the northeast side of a Dallas Fort Worth home may require 50% less water than the southwest side. One of the most crucial things a Texas homeowner must do to keep their house in good shape is by properly maintaining its foundation. 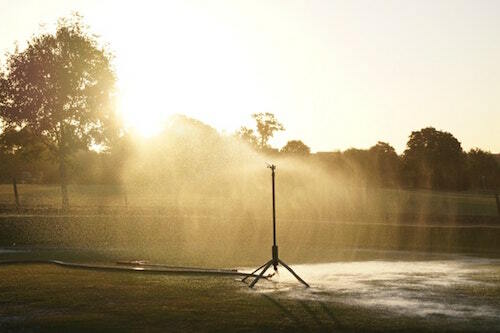 During the cold weather, this means keeping consistent soil moisture levels.